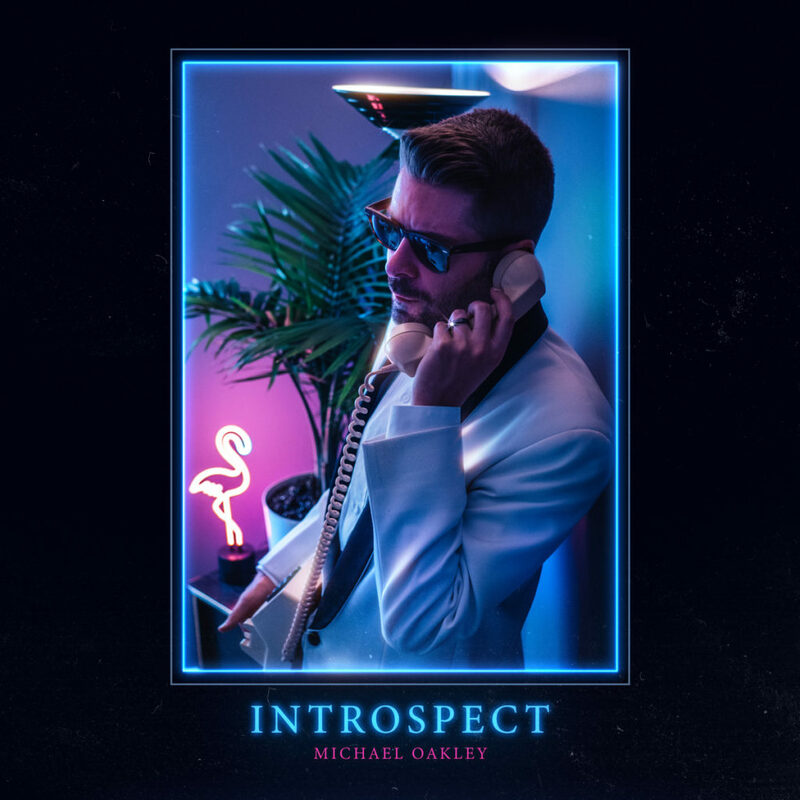 Scottish synthwave titan Michael Oakley has come out of nowhere to provide the next album to follow on from California. After California received an incredible amount of praise now it’s time for the new album Introspect to live to that expectation. He ditched the merry land of Scotland for LA and grew his reputation as one of the finest solo artists out there. He brings strong 80’s vibes and energy to his music and has not looked back since. From conquering overseas to triumphing the music scene Michael Oakley is back with a vengence and is one of very few musicians who can drag the raw power of 80’s music to make it sound fresh. The self titled introduction immediately brings such smooth energy to lead into the track Left Behind. Strong New Order vibes shine from Left Behind that which is perfect mix of sad lyrics and a slick chorus. Crystal Ships bring such a lighter tone and such a happy beat; the numerous instruments in this make it such an adventurous track. Control is beautifully eerie and Oakley’s voice is hypnotic on it. Rain brings the tempo back down and pours out of the speakers to bring a smile to your face. The incredibly talented Dana Jean Phoenix lends her vocals to Now I’m Alive to form such an amazing duet with Oakley. At first when Push It To The Limit started playing I was expecting Scarface vibes; I was wrong. I’m so glad I was wrong, because Oakley’s version is just as enthralling and has a face melting solo that I want to keep on repeat. American Dream calmly brings this synthetic thrill ride to a close. Introspect has most definitely lived up to California’s reputation and Michael Oakley’s consistency on making flawless music is unstoppable. This album will not only please every synthwave fan out there, but those who grew up in the 80’s would hail this album is a classic. In general Introspect is an absolute classic and it is hailed by us as one of the best synthwave albums to have been released. Synthwave is becoming an incredible competition on are the dominating artists, and Michael Oakley is one of the frontrunners. It’s amazing how much of a fanbase Introspect could create with 80’s fans old and new. It’s an incredible fist pumping, tear jerking ride that I will happily replay over again.